If you’re nearing retirement age and your savings are looking a little sparse, you’re not alone. Forty-six percent of baby boomers don’t have anything stashed away for retirement, according to a study from the Insured Retirement Institute, which means nearly half of soon-to-be retirees need to supercharge their savings if they don’t want to work the rest of their lives. The bad news is that if you’re in your 50s and are just now starting to save, it’s going to be a tough road ahead to save enough to enjoy a comfortable retirement. The good news is that it can be done, and even if you can’t save half a million dollars by the time you turn 65, you can put away a decent chunk of change — which is far better than nothing. One advantage workers in their 50s have over younger employees is the benefit of catch-up 401(k) and IRA contributions. If you’re under age 50, the 2018 annual contribution limit for 401(k)s and IRAs is $ 18,500 and $ 5,500, respectively. But for those age 50 and over, the annual limits are $ 24,500 and $ 6,500. While that’s a fantastic benefit to take advantage of if you can, chances are if you’re struggling to save for retirement, it’s not going to be feasible to suddenly start saving nearly $ 25,000 per year. In that case, the best thing to do is determine what you can save, set a goal for yourself, and stick with it. The first step is to create a thorough budget of all your monthly expenses to see where your cash is going and how much you have left to save at the end of the month. This is also a good time to see where you can make cuts. Be honest with yourself here to decide how important these expenses are compared to retirement. Ask yourself if you absolutely have to be eating out every week or whether you really need to take the family on a fancy vacation each summer. If you’re especially serious about saving, you may even choose to downsize to a smaller home to potentially save hundreds of dollars per month on your mortgage. Once you know roughly how much you’ll have to contribute to your retirement fund each month, start crunching some numbers. Retirement calculators are helpful in giving you an estimate of how much your savings will amount to by the time you retire as well as how much you’ll likely need to have saved by retirement. Keep in mind that these numbers are just estimates, but they can give you a rough idea of where you stand and how long your savings will last. If your numbers aren’t where you want them to be, don’t get discouraged. Saving is hard work, and beating yourself up over the fact that you didn’t start saving earlier won’t make it any easier. If you’ve trimmed your monthly expenses as much as you can and are still struggling to save, you have a couple other options. One option to consider is to delay claiming Social Security benefits, which will result in fatter checks each month. You’re able to start claiming benefits as early as age 62, but for every year you delay past your full retirement age (FRA), or the age at which you receive 100% of the benefit amount you’re entitled to, you’ll receive a boost in benefits. For example, if your FRA is 67 and you wait to claim until age 70, you’ll receive an additional 24% on top of the full 100% you’re entitled to. If you’re already going to be strapped for cash during retirement, this extra money can make a major difference. For example, say your FRA is 67 and the full amount you’re entitled to (or the amount you’ll receive if you wait until age 67 to claim) is $ 1,200. If you instead delay claiming until you reach age 70, you’ll be receiving $ 1,488 per month. An extra $ 288 per month may not seem like a significant difference, but it adds up to nearly $ 3,500 over a year — which is a lot of money when you’re trying to make each dollar count. In addition to waiting to claim Social Security, you can also put off retirement by a few years and continue working as long as you can. This isn’t the most exciting option, but it can help you save a lot of money in a relatively short period of time. Because not only are you continuing to contribute to your retirement fund as you work, you’re also not draining your savings just yet. For example, say you’re 50 years old with zero savings and you want to retire at 65. If you’re contributing $ 300 per month and earning a 7% annual rate of return on your investments, you’ll have a total of $ 93,859 saved after 15 years. While that’s a good amount of money (and far better than nothing), it will likely only last you a few years during retirement. If, however, you delay retirement by 10 years and work until 75, continuing to contribute $ 300 per month earning a 7% return, you’ll end up with $ 236,241. And if you also wait until age 70 to claim Social Security, you’ll receive a boost in benefits there as well. 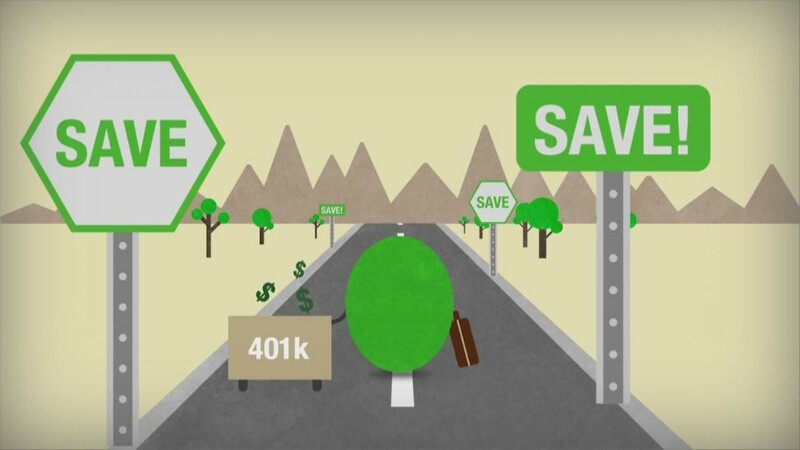 If your employer offers matching 401(k) contributions, you stand to earn even more by working a few more years. In this situation, if your employer matches your $ 300 monthly contribution, bringing your total contributions to $ 600 per month, you’ll end up with $ 472,482 by age 75, compared to just $ 187,718 had you retired at 65. When you’re behind on your savings and can see retirement looming on the horizon, it’s easy to want to give up on your financial goals. But it is possible to enjoy a comfortable retirement even if you got a late start on saving, because a little planning and a lot of determination can go a long way.